The list of smartphones with a slide-out camera is getting bigger by the day. It all started with the vivo NEX and Oppo Find X and now we are hearing that the Honor Magic 2 and the Xiaomi Mi Mix 3 are adopting the slide-out mechanism as well. It seems that Lenovo has been bitten by the periscope-like camera bug as well - the company's vice president just shared a video on Weibo showcasing a still unannounced Lenovo smartphone with extremely thin bezels, small chin and pop-up cameras in Find X style. 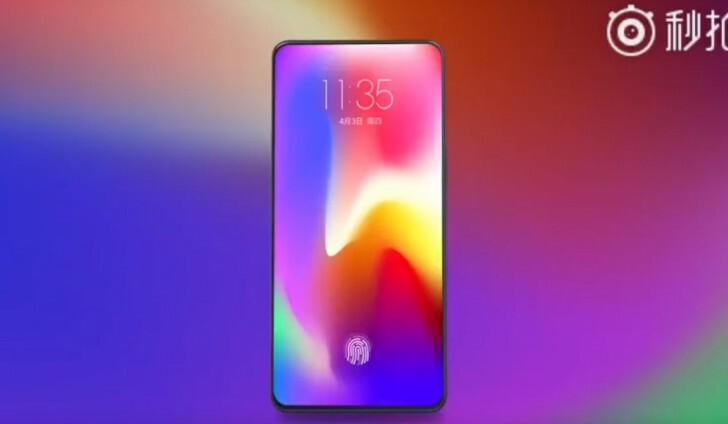 Moreover, the video reveals that the phone will make use of an in-display fingerprint reader, which is something the Find X is currently missing. No other information has been disclosed so we will have to wait some more until we see a finished product. Lenovo to be the first one to release 5G ready smartphone? Lenovo... known for false statements and/or leading on their customers and poor build quality... there's soo much that can go wrong with this one. - Would not buy!